Does anyone have WW2 era British or Canadian 1" signal cartridges? I would like pics to get an idea of the markings on them. Odd pistol. Quite different than the usual Mk.V and one I've never seen before. And Canadian marked...very nice. From what I'm learning, there are makers stamps and dates on the flares, then "XI. T" or J. III T". Have you any idea what these mean? I'd almost suggest something to do with how the flare behaves once fired but that doesn't really make sense. The pistol is an American made Harrington&Richardson. 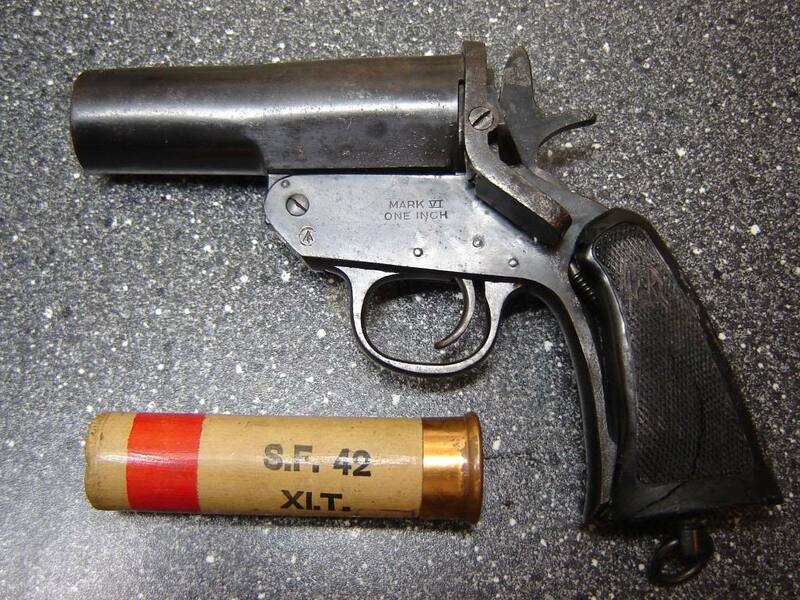 Somewhere on the www I have read that the Canadians purchased a small batch of these pistols in 1941. This example was left behind in my country, the (spend) cartridge was still in the barrel.